Built on a Cathedral scale as the greatest Catholic Apostolic Church by Raphael Brandon in 1853. 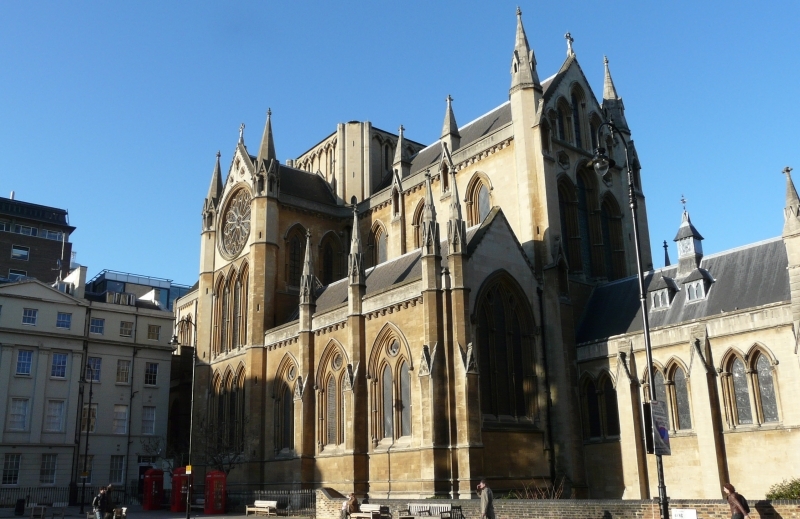 It became the University of London chaplaincy until 1992 and was used only occasionally except for the small eastern English chapel used by the Anglo-Catholic Forward in Faith group. 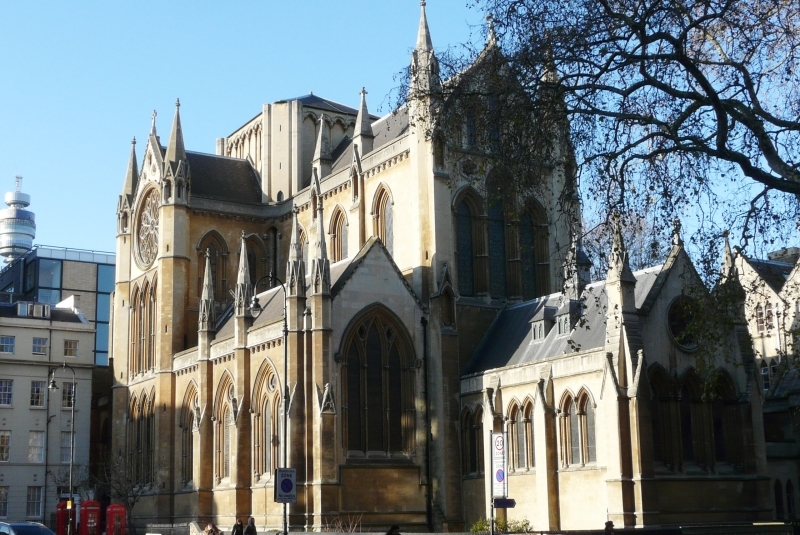 In 2017 the main body of the church was taken on by an Anglican church plant called Euston Church. The building still belongs to the Catholic Apostolic Church. By zoothorn in Bloomsbury, Brandon, Raphael, Holborn, London Borough of Camden on February 6, 2013 .